Senior Morgan Clausen wins then opening tip off against the Cary Grove Trojans. 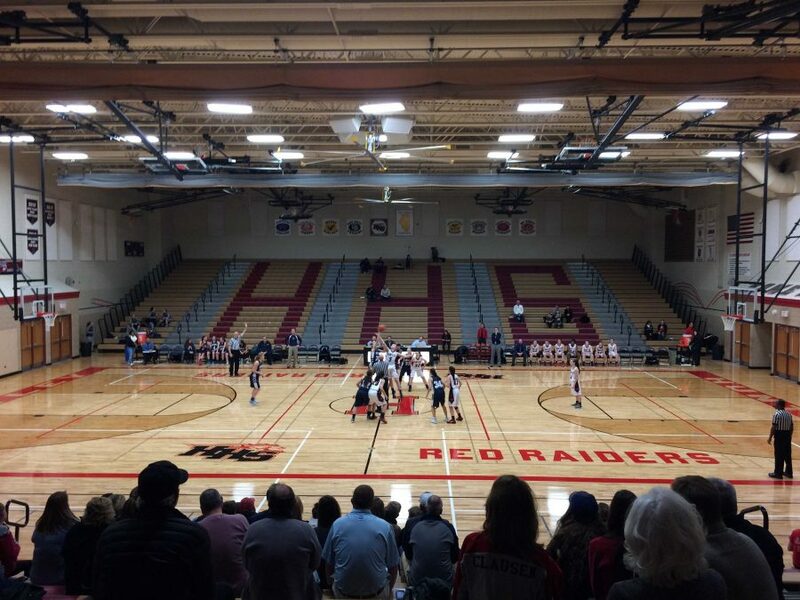 On Dec. 6, Huntley High School’s girls varsity basketball team took on the Cary Grove Trojans, beating them 44-28. However, this was not an easy win for the Red Raiders. The Trojans led all through the first quarter with a strong zone defense, causing the Raiders to struggle to put up points. They also struggled to hold the Cary Grove offense as well. The Red Raiders had a slow start, but were able to put up some points towards the end of the first quarter when they finally managed to break through the Trojan defense. Cary Grove led the game going into the second quarter, 10-6. The Raiders, however, were turned on the second quarter, and the fans could instantly see improvement in the girls. Starting off the quarter, sophomore Missy Moffett scored a three-pointer, bringing the score to 9-10, Raiders. Huntley’s game was much more aggressive in the second quarter, really coming out and attacking the Trojan defense and stopping their offense. Moffett put up three three-pointers in the second quarter, along with a two-pointer from number four, senior Kaylee Andrea. Going into halftime, Huntley led 19-14. Moffett had six of the team’s 19 points. The first Buffalo Wild Wings Shoot Out of the year was unsuccessful, resulting in no wings for the gym full of fans. 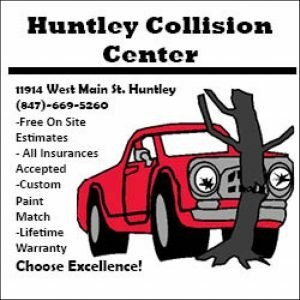 Huntley carried the momentum from second quarter into the third quarter. However, the third quarter was uneventful, resulting in only four points for the Red Raiders, scored by senior Abbey Brown and junior Katie Bessey. The Raiders were then able to hold off the Trojan offense, keeping them to only three points. The Red Raiders really pulled ahead in the fourth quarter, with senior Morgan Clausen scoring a team leading total of 12 points. “When they went man, I was able to post up more, and then when I made my first couple shots, I got more confident,” Clausen said. The Raiders were able to pull off a comfortable 44-28 win. Overall, they really turned the game around and found a way to put up points, despite the tough defense they faced.